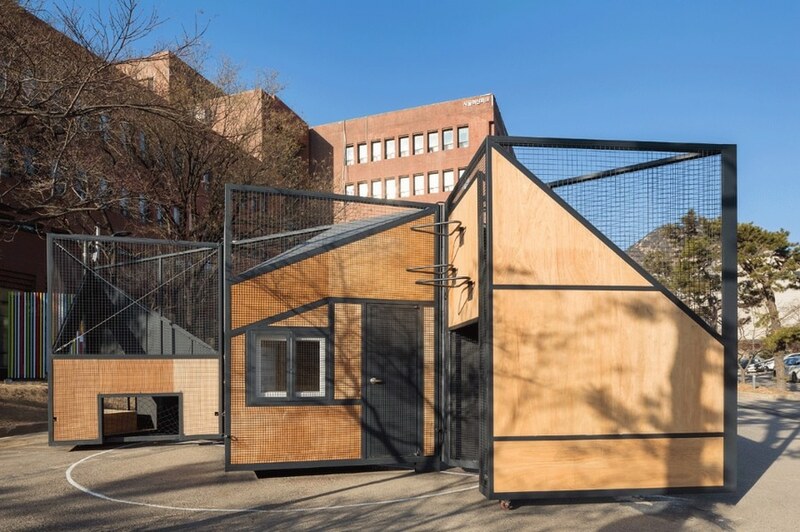 To overcome the lack of public playgound infrastructures due to overpopulation, B.U.S Architecture designed a modular, foldable structure to back up a number of different games. Designed by B.U.S Architecture the Undefined Playground is a flexible structure that can be folded or unfolded in order to fulfill the participants’ needs: when folded, it acts like a polyhedron, when unfolded, it transforms into a soccer field, revealing a hidden resting place. 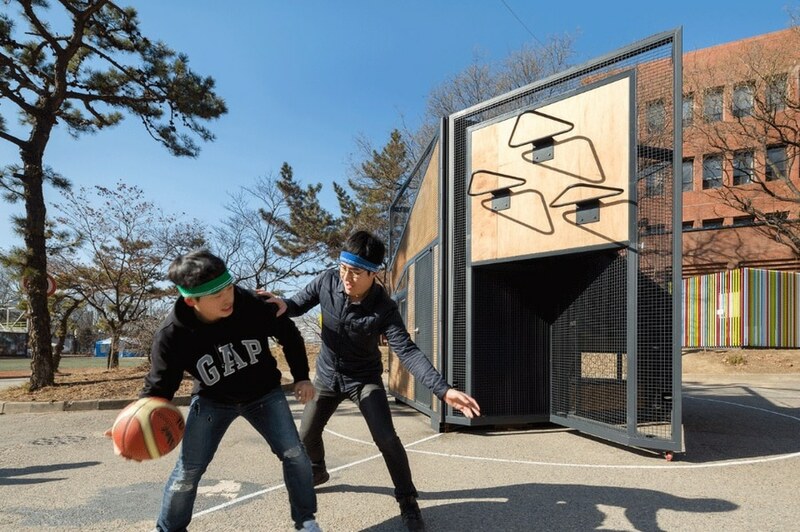 In today’s overcrowded cities, the architects wanted to secure the space needed for playing with a ball, since it is almost always necessary to book months in advance to have a public sports facility, specially in Seoul. B.U.S Architecture picked four different types of ball games that didn’t need any special equipment and that can be easily played. 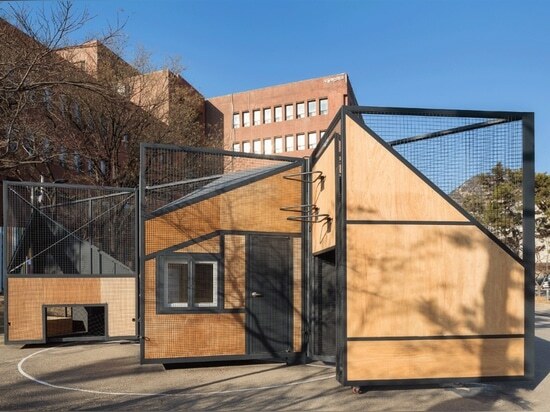 The sides of the polyhedron corresponds to these four different types of games – soccer, basketball, tennis, volleyball – in addition to sporting goods rental. The size and area vary depending on the type of the sport and its characteristics. 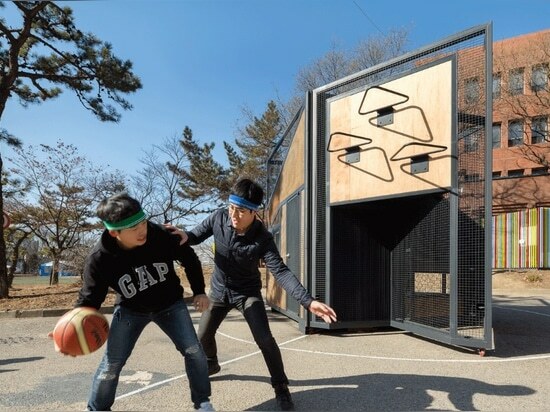 When the structure is folded, it serve as a mini soccer field, a triangle basketball court, a free tennis field, a flying disk structure, and it can host a sporting good rental. When it is unfolded it hosts a semicircle soccer field.